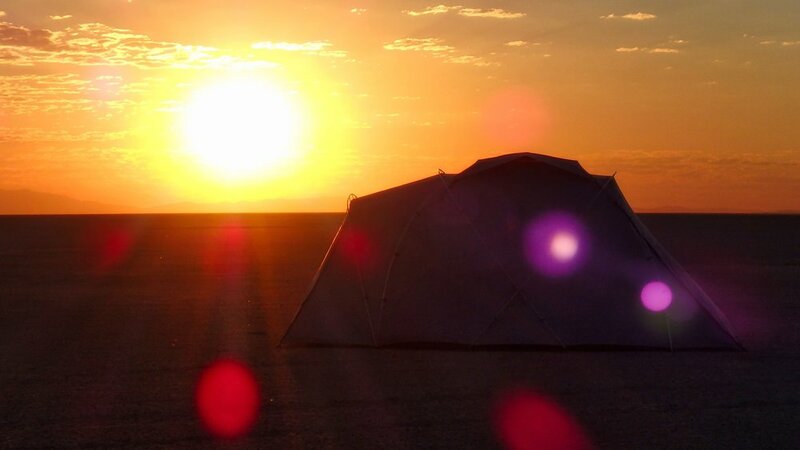 Don't wake up baking hot in your tent. Sleep in and stay cool. 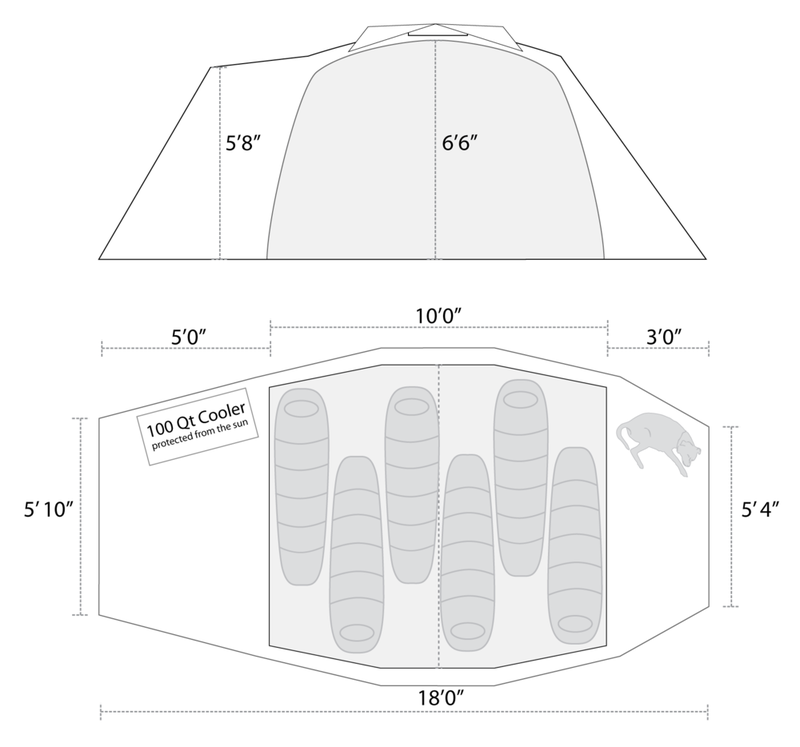 The No Bake Tent uses space age technology to keep you comfortable. 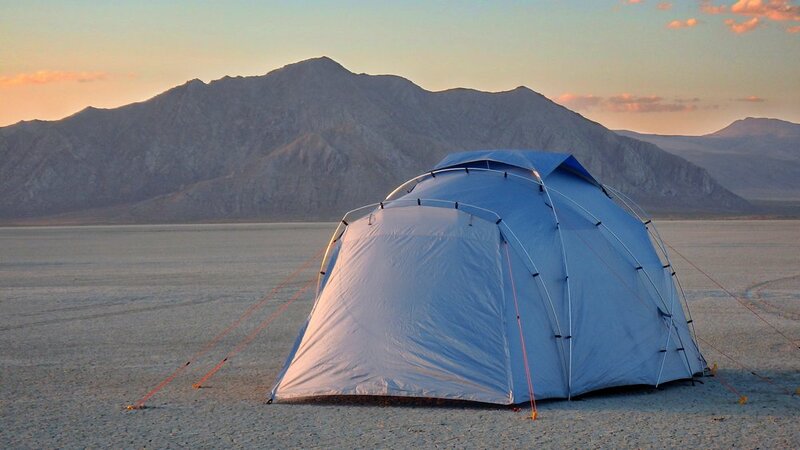 We made 14 prototypes to unlock the secrets of a tent that stays cool in direct sunlight. 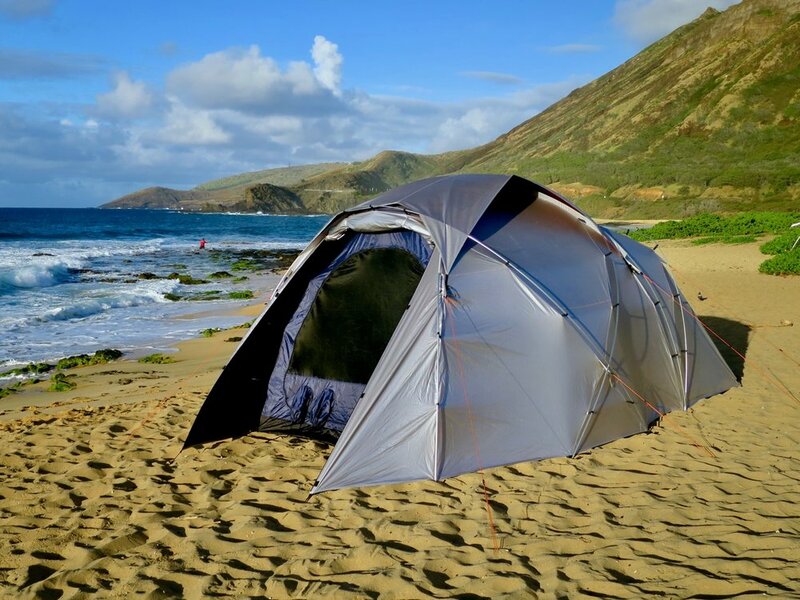 And we didn't stop there - we designed the tent to stand up to strong winds; and to keep sand and dust where they belong - outside. It's tall enough to stand up in, even if you're 6'5"! And it comes with 4 drink holders inside the tent - no more spilled drinks! The "No Bake Tent stayed *so* much cooler than the traditional tent that we had setup and was also significantly cooler than the (Competitors tent). Very happy to have it on the Playa on our hottest Burn so far!!" 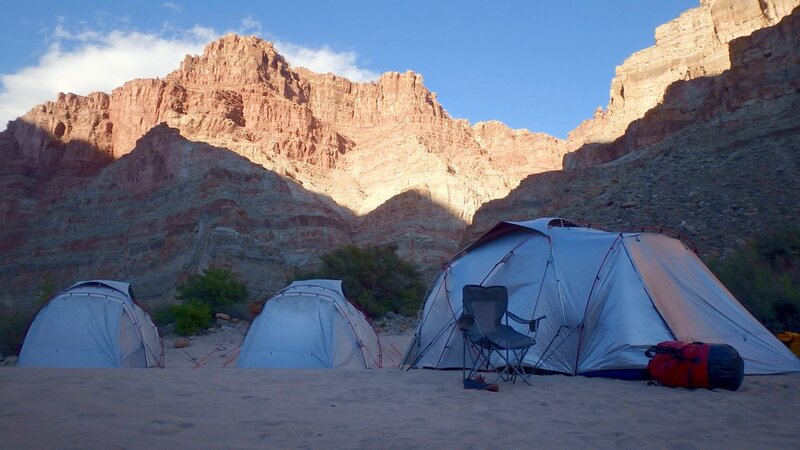 Other tents turn into ovens when the sun hits them. They blow down in the wind. They fill with sand and dust. They are so bright inside you can't sleep past sunrise. They only last a single season. They leak when it rains. They get too hot during the day and too cold at night. The No Bake Tent solves these problems. 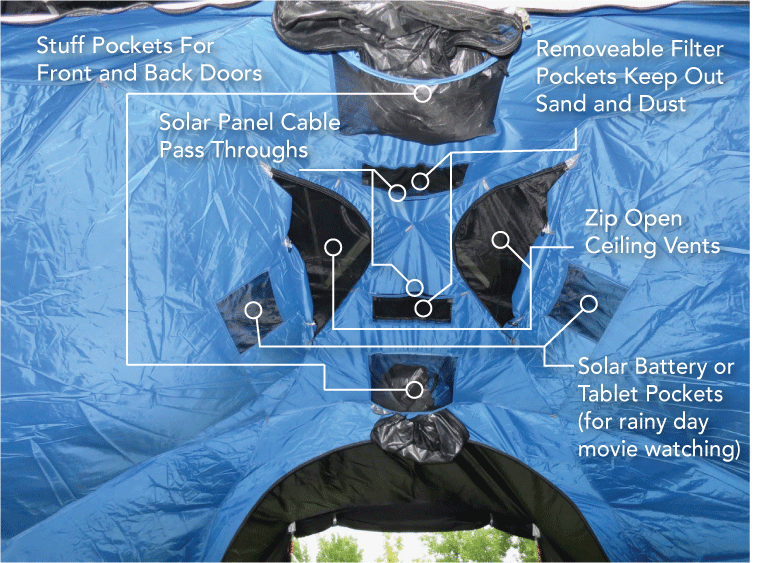 The tent is designed to integrate with evaporative coolers, air conditioners, solar panels, LED lights, speakers, tablets and power packs. See how the technology works and view real world test data. View the specs, weight and floor plan. Round One and Two sold out. Round Three is open. 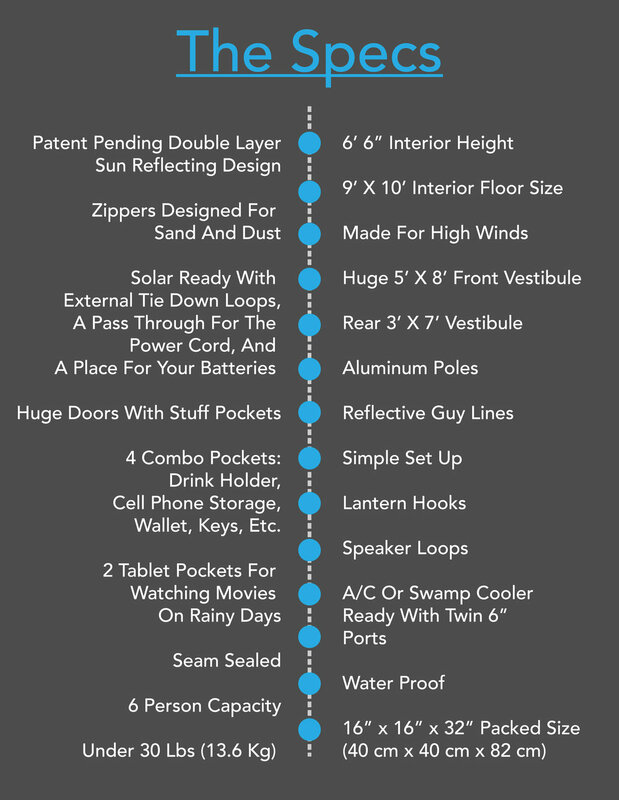 Click purchase to learn about our Burning Man shipping guarantee. "The No Bake Tent looks to be one of the best festival tents ever constructed." Now in stock for 2019! *Business days are Monday through Friday. We are not responsible for UPS, USPS, DHL or FedEx mistakes or their failure to deliver on time.